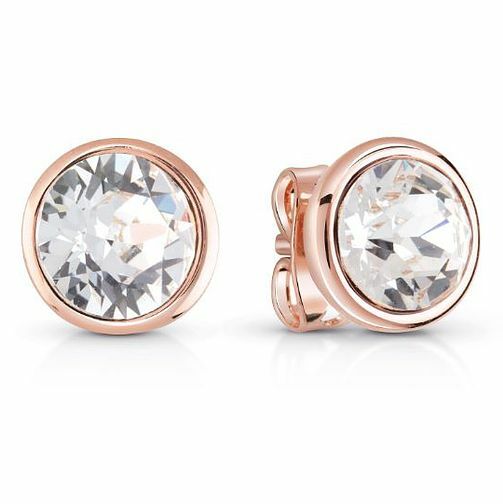 A shimmering pair of stud earrings by Guess, with rose gold plated round bodies presenting genuine Swarovski crystals. These subtle and sophisticated studs are set to sparkle from every angle, ideal for everyday wear. Guess Rose Gold Plated Swarovski Crystal Stud Earrings is rated 4.8 out of 5 by 4. Rated 5 out of 5 by Anonymous from A store to be trusted Stunning earnings and amazing service. I would buy again. Rated 4 out of 5 by Anonymous from A+ Really good quality product. Very pretty. I’m really happy with my purchase.